This weekend, well Sunday at least, had fantastic riding weather. The good news is we have more great temperatures and conditions coming for this week! But we all know snow could be around the corner, so get out there and ride your bike while you still can! Remember a good set of arm warmers will go a long way in keeping you comfortable. Check out Brian riding up Left Hand Canyon on Sunday. He is wearing the Pearl Izumi Thermal Lite Arm Warmers. 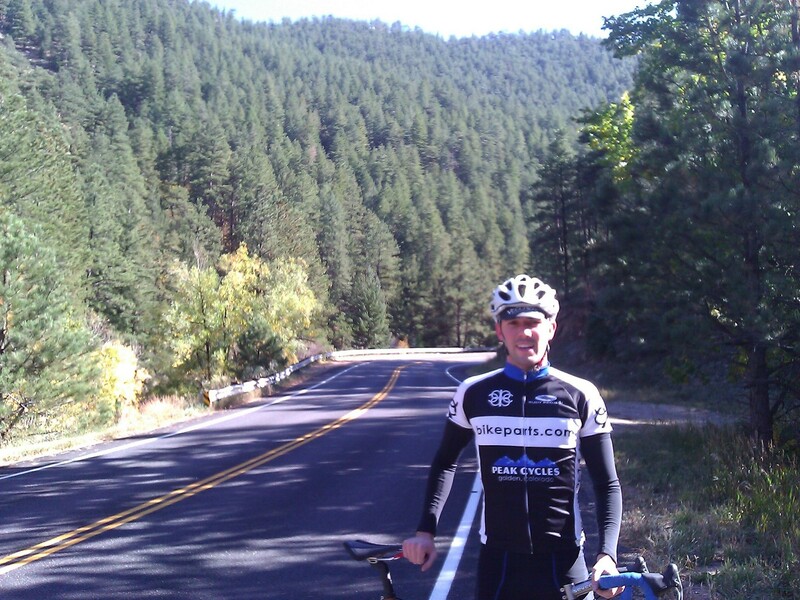 This entry was posted on Tuesday, October 9th, 2012 at 1:08 PM and is filed under Peak Cycles Bicycle Shop. You can follow any responses to this entry through the RSS 2.0 feed. You can leave a response, or trackback from your own site.